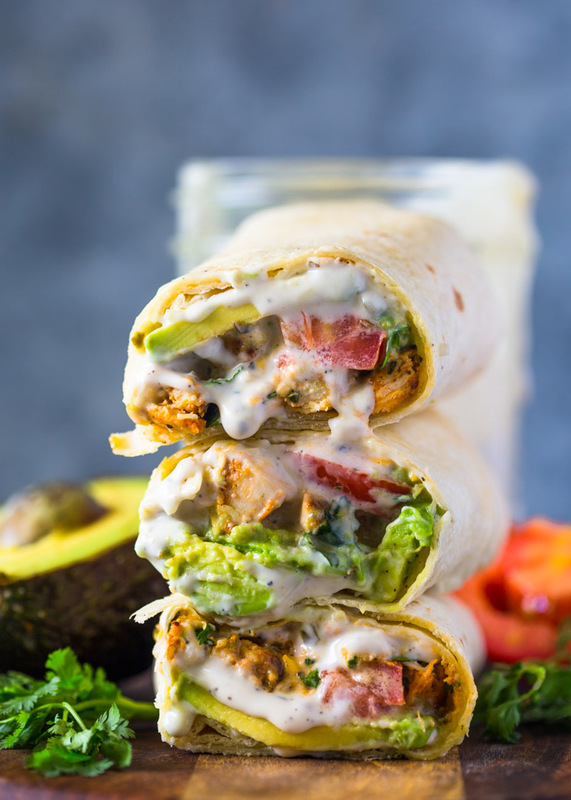 Chicken, avocado, tomato, and cheese topped with a cilantro yogurt ranch sauce and wrapped in flour tortillas. 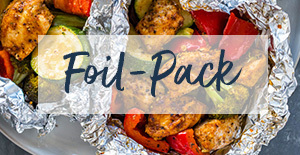 These easy no fuss wraps are lean and make a great healthy high protein lunch. 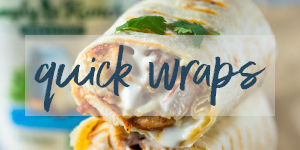 It’s no secret that burrito wraps are a favorite of mine. 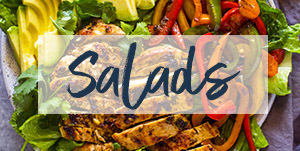 They’re easy to make, healthy, and always flavorful. I usually start with chicken and build upon it. Avocado and cheese are great add-ins too. To tie it all together, I like to use Greek yogurt, sour-cream or ranch. 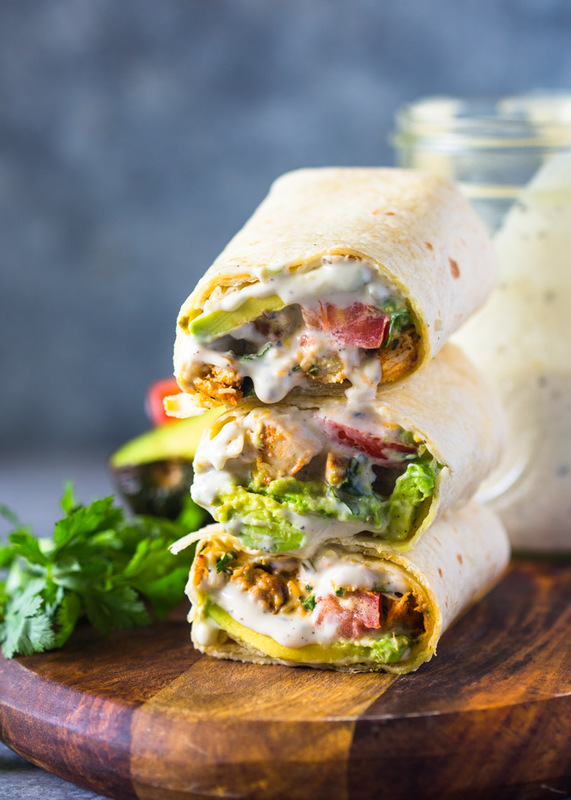 This avocado ranch chicken wrap features ranch and greek yogurt as the base. 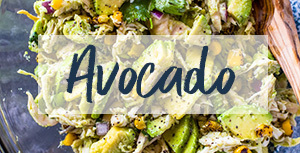 The flavors of the ranch along with the richness of the avocado are a match made in heaven. For the chicken, I like to season chicken breasts with taco seasoning and grill it on the stove top. I then chop or shred it and use it for the wraps. 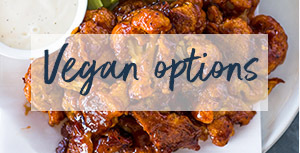 Chopped or shredded rotisserie chicken or any other type of leftover chicken works great too! 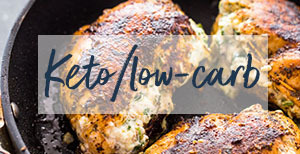 In a small bowl, combine the greek yogurt, ranch dressing, cilantro and salt & pepper to taste. Place tortillas on a clean flat surface. Top each tortilla with 1/4th of the chicken, avocado, tomato, and shredded cheese. Drizzle with a few tablespoons of the yogurt/ranch sauce and roll tightly. Secure with a toothpick if necessary. Enjoy! 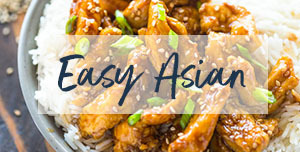 Very quick and easy meal that burst with flavor. 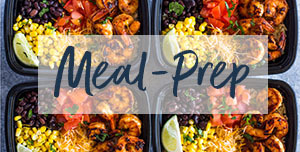 My favorite type of meals. Thanks for the feedback, CJ! Delicious! This will be made very often in my house. 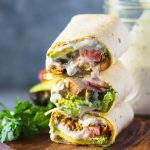 I really like this chicken burrito wraps recipe. It really looks delicious and well made. Thanks for sharing. Do you think these could be made ahead of time or would they get soggy? They look delicious and like a perfect summer time meal at the pool! Try adding less ranch and serving some on the side for dipping if you want to make ahead of time!